Why not check out our current properties available to let? Looking for advice or a new property? Get in touch! 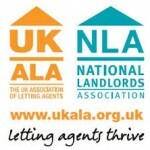 Are you a landlord? We can help! I have engaged Dwellings to manage my rental property for some years now and have found their service to be excellent and in particular unfailing in the success of securing good quality tenants quickly. They are always quick to respond to queries and all are resolved timely and efficiently. I have no hesitation in recommending them to new and existing Landlords who want the potential pitfalls of letting property taken off their shoulders. Before building our property investment portfolio we approached various agents. We found Dwellings gave us by far the most helpful and professional advice. Over the past 18 years they continue to deliver a most efficient and friendly service managing all our lettings. They are specialists, able to give their clients the fullest attention, unlike some others in the industry. Just a massive thank you again for finding me such a perfect property. From the first viewing to collection of the keys , you really do make the whole process simple and a pleasure ! Professionalism at it’s very best. A searchable database of all the properties we currently have available, and a facility to use our property locator service. Dwellings offers a comprehensive range of Property Management Services for Landlords. Our office addresses, telephone, fax and e-mail details.